The years go by and memories fade. They might be forgotten, but the 35th Infantry Regiment's annual Reunion has brought back many of these faded memories. I found some old VN slides and seeing these pictures brought about this article. I decided that some of these memories should not be forgotten and this article is one of those. I hope you receive it in the spirit that I convey it. Dave Whaley was called back to his Company as they were going in on a flanking maneuver. That left me as my company was staying on Firebase security. Bill Farmer said to me, "I want to VOLUNTEER to go on this mission. I was a Sgt in the 82nd Airborne before OCS and I know what I am doing." I wasn't one to argue and besides, Bill outranked me!" (poor excuse isn't it?) We had to get Chris' permission. He reluctantly agreed, but told Bill to be back within a week and that he would be working on his replacement immediately. Bill left at first light and it wasn't anytime until he had the artillery on target and the troops withdrawing to get medical aid. Chris was also on his job at getting a replacement and he had one located before the day was out. 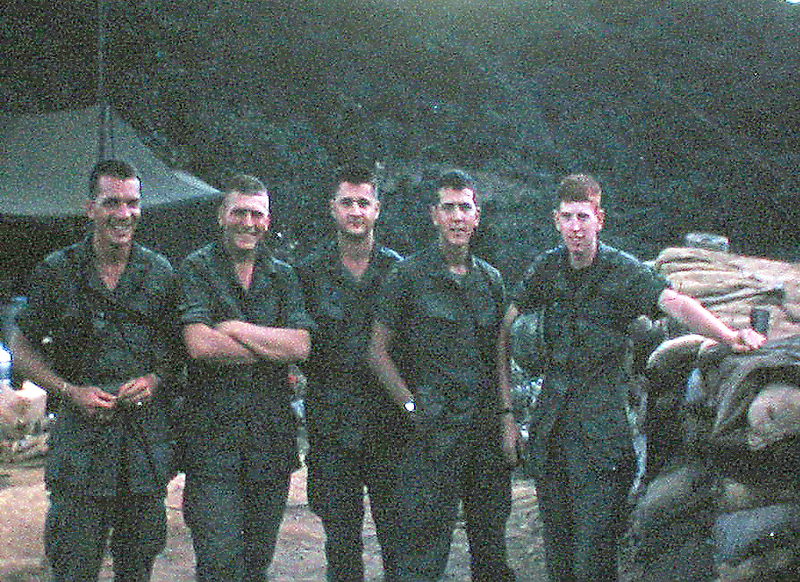 Before any replacement could be coordinated, Bill's unit got into another fight with the same NVA unit that they had just broken contact with. The fight went on into the afternoon and we got word that Bill was KIA. He didn't have to go, but that was Bill....he was always a VOLUNTEER. We talk about personalities over time, about who we did and did not like, but we were always willing to fight for our comrades in arms. One reason for this website, is that we must not forget those who we fought with and especially those who paid the ultimate price for our freedom. Chris had us come into his tent when he wrote to Bill's wife in North Carolina. He tried to say it right. I don't know if he got it right in words, but we sure had it right in our hearts, then and now. God bless you Bill. We have not forgotten and we never will. Webmaster's Footnote: Ed Thomas and Dave Whaley are members of the 2/9th Arty Email roster.